» Why Do Cats Have Nine Lives? Most people have heard the adage “cats have nine lives.” Have you ever wondered if there is any factual basis to this old legend? The reality is that cats only have one life. But, as we will see below, truth is often stranger than fiction. How Widespread is the Multiple Lives Myth? It’s unclear when exactly the myth that cats have nine lives first originated. However, the idea that cats might have other lives after their first one is thousands of years old. The ancient Egyptians believed in life after death, where certain of the dead would someday live again. Mummification was essential to this process in order that the ka (soul) of the deceased could find its body and be reborn into the afterlife. Cats were sacred to Egyptian society, and were associated with the important deity, Bastet. Domesticated cats were often depicted in Egyptian paintings, some going as far back as 3,600 years. Given the Egyptians’ reverence of cats, it’s not surprising that cats were often mummified with the same care and respect given to humans. In fact, just outside the town of Beni Hasan, a burial site was discovered that contained over 80,000 cat mummies! This calm submission is dishonorable and vile. The thrust of a sword will end this surrender. (draws his sword) Tybalt, you rat-catcher, will you go fight me? Good King of Cats, I want to take one of your nine lives. I’ll take one, and, depending on how you treat me after that, I might beat the other eight out of you too. This modern translation of the Bard’s verse shows that by at least the sixteenth century, the nine-lives myth was a part of popular culture. 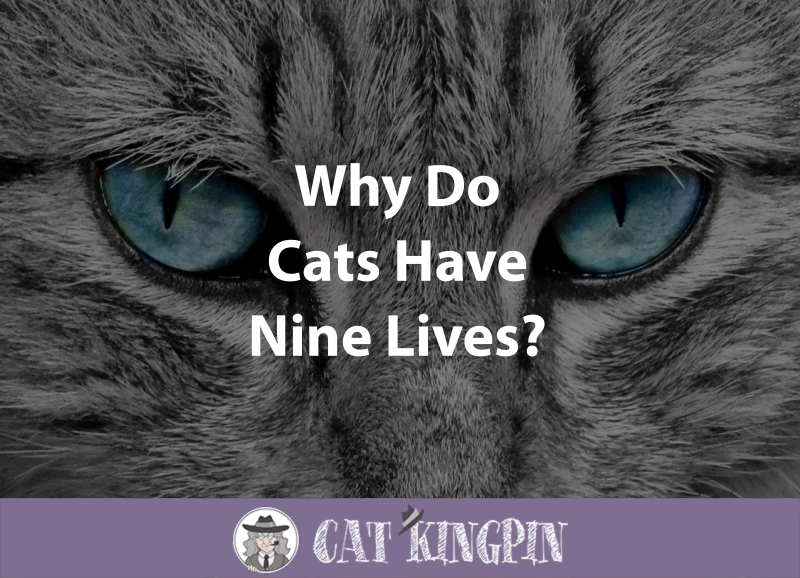 How Widespread is the Nine Lives Myth? There are actually many cultures with fables about cats having multiple lives, and we’re not just talking about fainting. However, not all of them maintain that cats have nine lives. For example, in Brazil, Germany, Greece, Italy, and many Spanish-speaking countries, cats are said to have seven lives. In many Muslim countries, such as those of the Arabian peninsula and Turkey, cats supposedly have six lives. One theory regarding how the myth spread is that the Moors passed it to the Spaniards and Portuguese during their 800-year occupation of the Iberian Peninsula in the eighth century. From there, the legend travelled through the rest of Europe with some variation to the number of lives. Contrary to what the news anchor reports, I’m guessing that kitty used at least two of her lives. Having more to do with the stages of a cat’s life, the proverb refers to the playfulness of kittens, the wandering spirit of young adults, and finally how older cats settle down and prefer snuggling in your lap. In any case, the modern tradition is likely based primarily on specific cat physical abilities, such as usually landing on their feet. 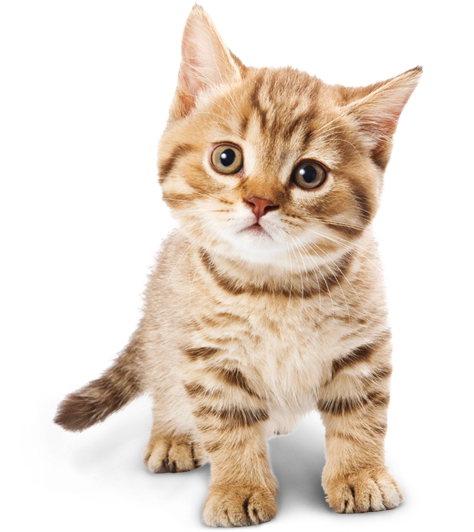 Known as high-rise syndrome, the cat’s instinctual righting reflex can often reduce injuries they might suffer, however, cats can still be injured or killed by a high fall. So, do cats really have nine lives? Unfortunately, like people, cats have only one life. That’s why it is essential to do everything you can to make their lives healthy and happy ones. Probably the most important thing you can do is feed them a high-quality, meat-based cat food such as Wellness or Taste of the Wild. Regular vet visits are also a must. And, if you want to go all out on keeping your indoor cat in tip-top, escaping-life-threatening-situations, peak physical shape, try the Cat Garden Complex Activity Center. Regardless, the myth that cats have multiple lives isn’t likely to (excuse the pun) die out anytime soon. And, even if it’s an exaggeration that few people believe, this legend is a testament to just how extraordinary cats really are. Speaking of which, if you have children, you should definitely check out George Mackay Brown’s book, Six Lives of Fankle the Cat. In this wonderful story, Fankle tells Jenny, the girl who rescued him, tales of his former lives. For teens and adults, Seven Lives and One Great Love: Memoirs of a Cat is a witty and epic love story, spanning a broad repertoire of cultural references. If you have any questions or would like to share a story about your cat and a time it seemed like they had nine lives, please tell us in the comments below. We’d love to hear from you!